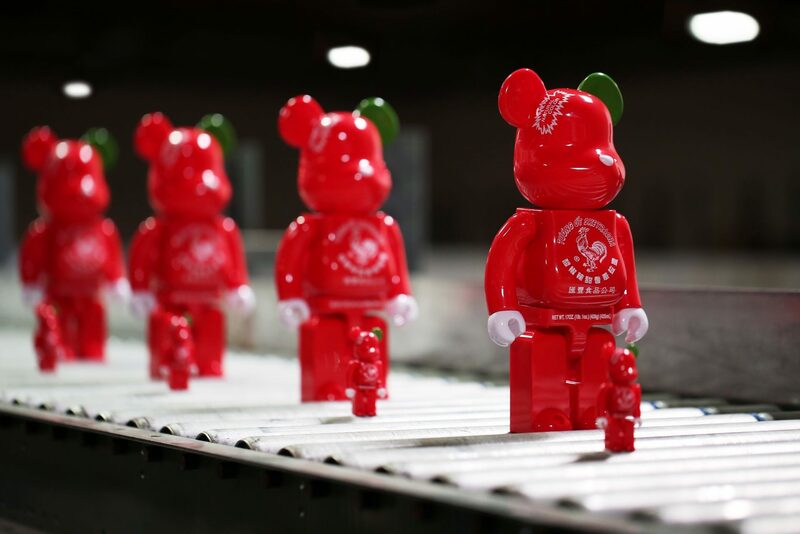 BAIT has partnered up with world famous Huy Fong Foods, artist Sket-One, and Medicom to put together a special 400% and 100% set of Sriracha bearbricks. 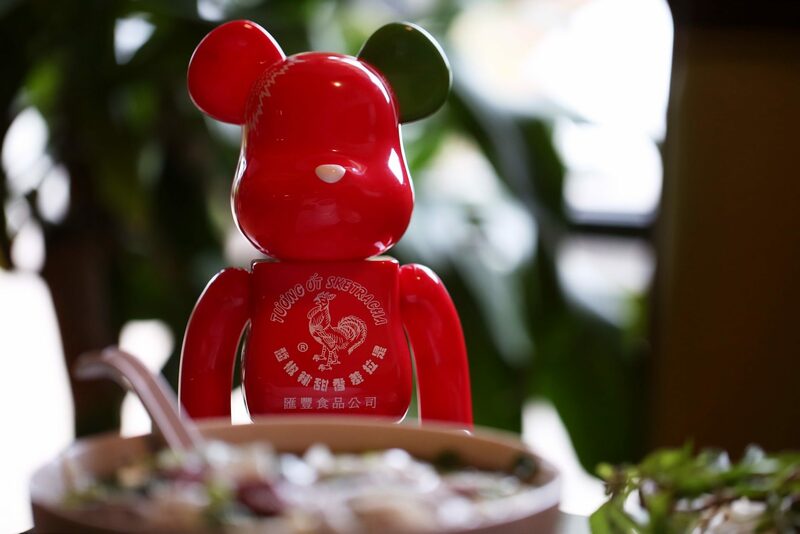 The officially licensed collaboration pays homage to the Huy FongSriracha Chili sauce, born in 1980 by founder David Tran. 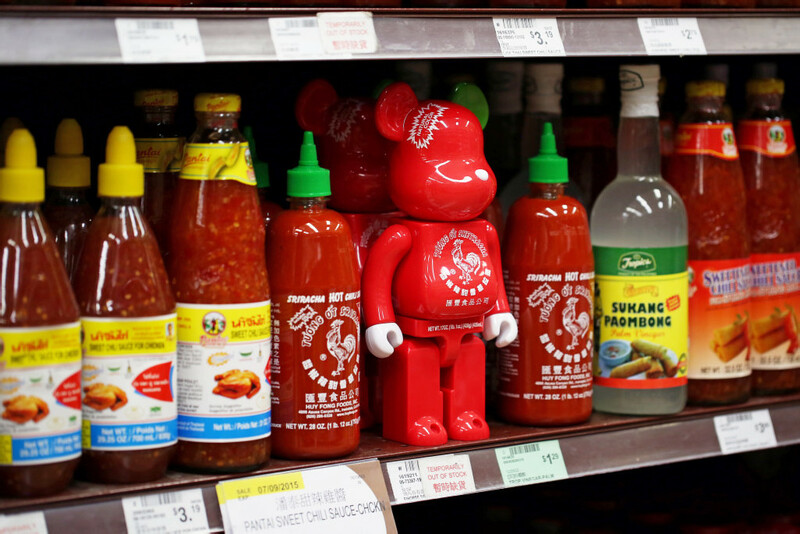 Since it’s inception, the sriracha “rooster” chili sauce, has become a condiment staple in many households and restaurants worldwide. 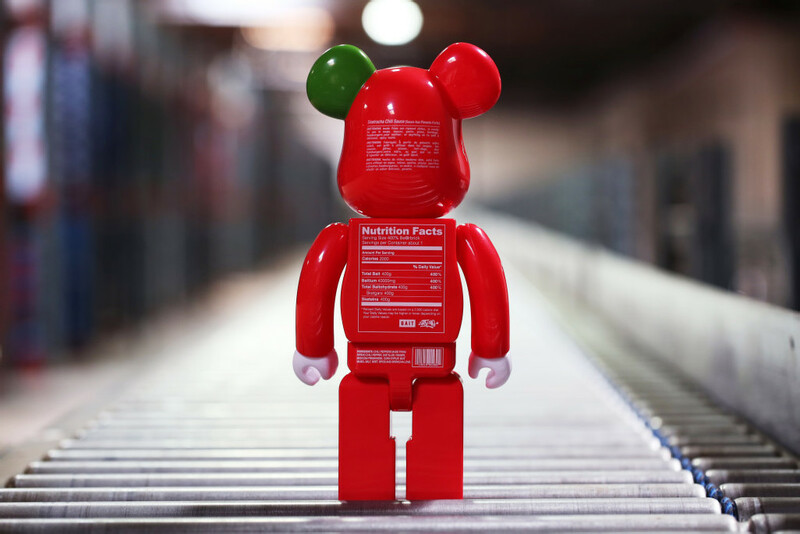 Bait and Sket-One came together to design a bearbrick that captures the popular hot sauce for it’s first ever Medicom Bearbrick rendition. The BAIT SrirachaBearbricks parallels the famous sriracha bottle, with it’s natural red chili sauce color throughout and iconic green “cap” on the right ear. 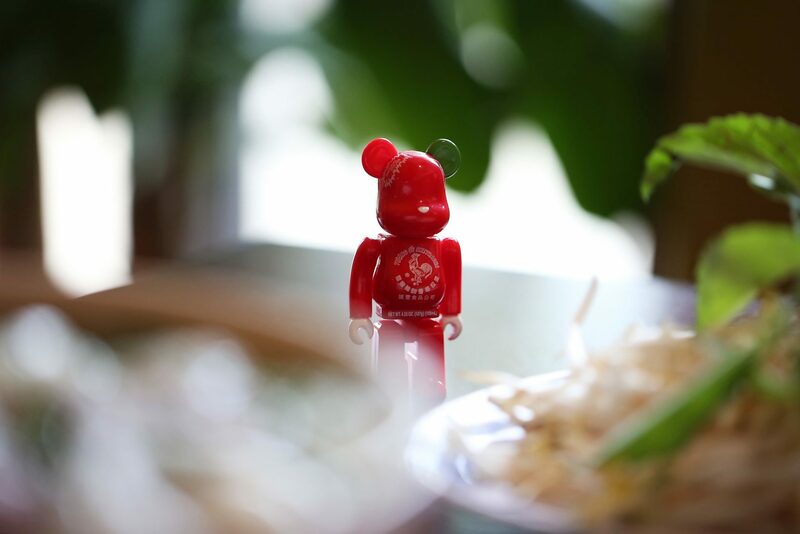 With founder David Tran being born in the year of the rooster in line with the Chinese zodiac calender, the bearbrick would not have been complete without the prominent rooster logo, front and center. On the back of the collectible, nutritional facts in “BAIT” units complete the design. The Sriracha set of bearbricks are a San Diego Comic Con exclusive, with a future online release date to be announced. The 400% and 100% Bearbricks come packaged together as a set for $125.00 Visit Bait’s booth #4845 at San Diego Comic Con from July 9th, through July 12th, 2015 at the San Diego Convention Center.